A major in-game event will celebrate the third generation of the Pokemon universe. A new event is coming to Pokemon Go that will celebrate the Hoenn region (and third generation) of the Pokemon universe, which was first seen in Pokemon Ruby and Sapphire on Game Boy Advance in 2003 (in North America). From January 15 at 4 p.m. ET to January 29 at 4 p.m. ET, Pokemon originally discovered in the Hoenn region will appear more frequently in Pokemon Go. The third generation of the Pokemon universe includes creatures like Treecko, Torchic, and Mudkip. 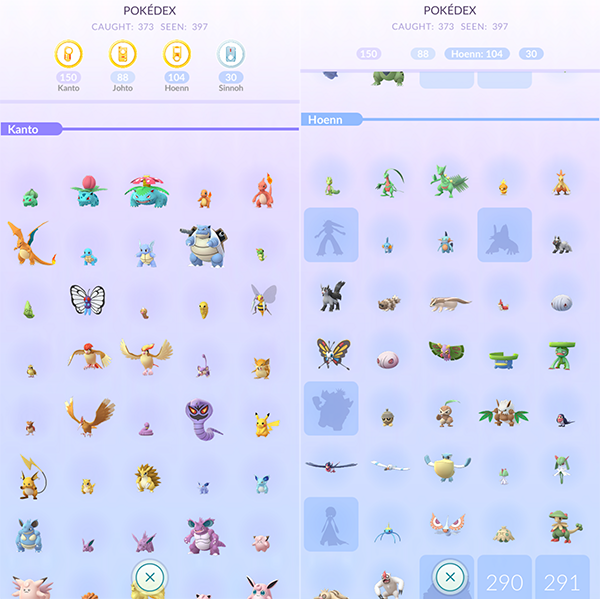 You can see which Hoenn Pokemon you’ve already captured by going into the game’s Pokedex and tapping “Hoenn” at the top of the screen. During this event, players can collect Field Research tasks that focus on Pokemon originally discovered in the Hoenn region by spinning Photo Discs at PokeStops. Gyms will have Raids featuring Hoenn Pokemon, such as the Legendary creatures Kyogre and Groudon. When Shroomish is evolved into Breloom during this event, it will learn the exclusive battle move Grass Knot. Shroomish can be evolved once players collect 50 Shroomish Candy. 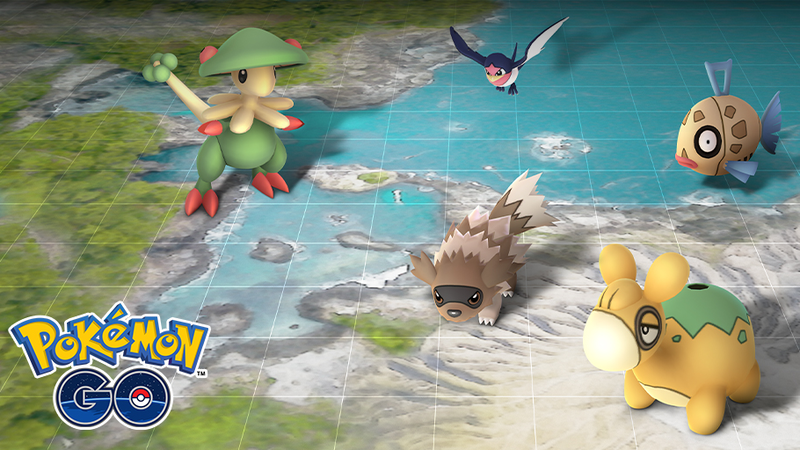 Players will have the chance to encounter Shiny Zigzagoon and Shiny Taillow. Finally, new avatar clothing and accessory items inspired by Team Magma and Team Aqua -- the villains from Pokemon Ruby and Sapphire -- will be added to the game’s Style Shop. Keep in mind, trainers, that a second, shorter event will take place during this Hoenn celebration. On January 19 from 2 p.m. ET to 5 p.m. ET, players will be able to spin Photo Discs at PokeStops to receive Limited Research tasks that will reward them with a Feebas encounter when they’re completed. There’s a chance to receive a Shiny Feebas in the process. Feebas is also a third-generation Pokemon, so this event totally fits the theme.